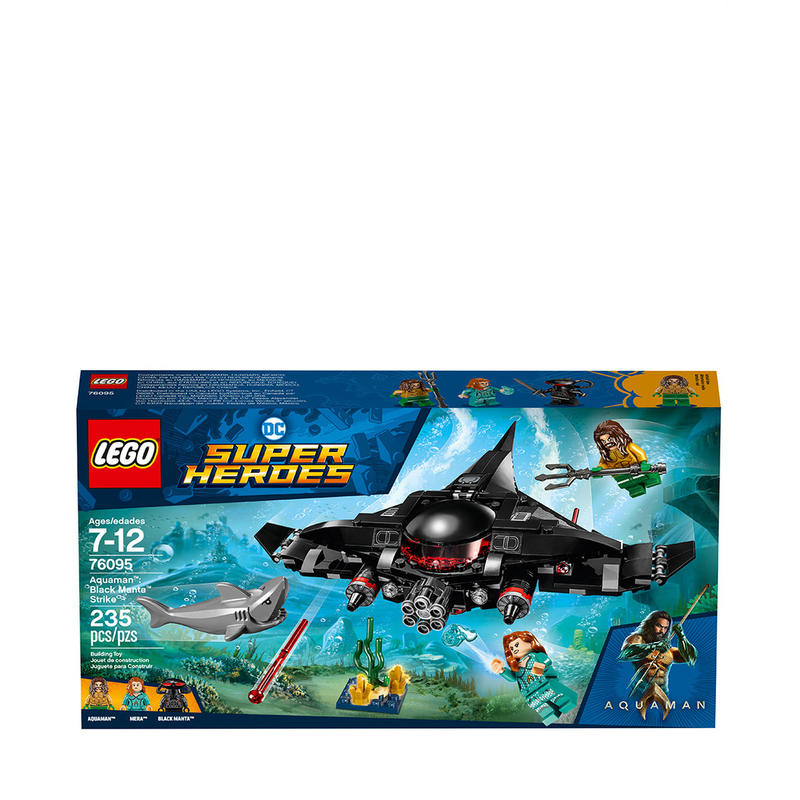 - Includes 3 LEGO® DC Super Heroes minifigures: Aquaman™, Mera™ and Black Manta™, plus a shark figure. 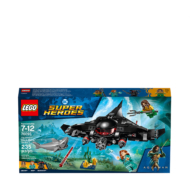 - Black Manta’s submarine features an opening minifigure cockpit, 2 spring-loaded shooters, 6-stud rapid shooter and 2 engines. - Underwater scene features seaweed elements and 2 detachable gold-colored treasure elements. - Weapons include Aquaman's trident and Power Blast, Mera's Power Blast and Black Manta's sword. 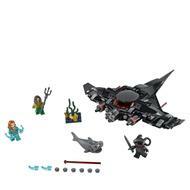 - The LEGO® DC Super Heroes Aquaman™, Mera™ and Black Manta™ minifigures are new for August 2018. - Role-play exciting underwater scenes from the Aquaman™ movie. - Black Manta’s submarine measures over 1” (4cm) high, 9” (25cm) long and 9” (25cm) wide.